South Haven bed and breakfast travel guide for romantic, historic and adventure b&b's. 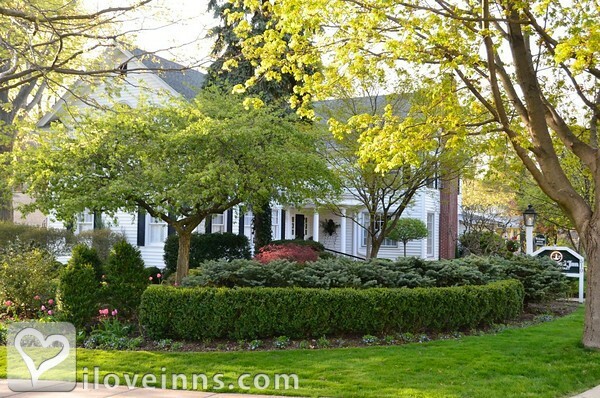 Browse through the iLoveInns.com database of South Haven, Michigan bed and breakfasts and country inns to find detailed listings that include room rates, special deals and area activities. You can click on the 'check rates and availability' button to contact the innkeeper. A lakefront community on the shores of Lake Michigan, South Haven offers a quaint downtown and wonderful restaurants. South Haven's signature lighthouse is located within sight of the downtown area. Local farms feature blueberries, peaches, raspberries, apples and more. Visitors to South Haven also enjoy local wineries, the Kal-Haven Trail, Van Buren State Park, several golf courses, sailing trips on Lake Michigan and more. Whether you stay for a day, a week or a lifetime in South Haven, the bed and breakfasts of South Haven welcome you to their beautiful hometown. By Victoria Resort Bed & Breakfast. South Haven, Michigan is found on the eastern shore of Lake Michigan right at the mouth of the Black River. If you want to be in the perfect summer destination, visit South Haven and experience the beautiful sparkling water and sandy beaches! Fun at the beach, fishing, playing golf, a diverse mix of gift shops and shopping centers, South Haven has it all! Not to mention the deep water harbor. The great thing about South Haven is that it is not just a beach town, but an agricultural one as well. So whether you want to see tall ships and dip in refreshing waters or have a laid back stay at a South Haven bed and breakfast as you pick your own berries in the morning, the town of South Haven should be in your top five "places to go" list. By Sand Castle Inn.